Warning: there are spoilers ahead for Captain America: Civil War! If you don’t want to know about Zemo’s involvement, turn away and click on another one of our fine articles. Understandably, the majority of Captain America: Civil War’s promotion over the last six months or so has been dedicated towards highlighting the actual superhero conflict. However, those who’ve been following news regarding the movie knew that it had a true antagonist: Helmut Zemo, played by Daniel Brühl. 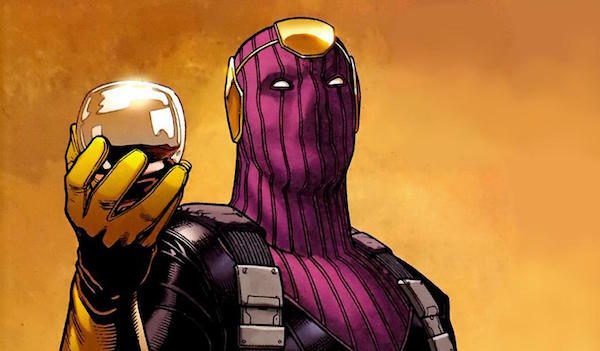 Despite his casting being known for over a year, Marvel kept his exact involvement in the movie a secret, and it was only last month that the studio finally released an image of Brühl’s Zemo. Fortunately, this lack of publicity wasn’t indicative of his importance, as he not only proved a worthy behind-the-scenes threat in Captain America: Civil War, but also cemented himself as one of the Marvel Cinematic Universe’s best villains. One of the primary criticisms of the MCU’s villains is that they aren’t given enough depth, They’re just running through the usual villain cliches, which isn’t always bad, provided that they also don't comes across as one-dimensional. That wasn’t the case with Zemo. After his family died when Ultron attacked Sokovia, Zemo blamed the Avengers for their deaths. Using the skills he learned as a Sokovian intelligence officer, he set out to manipulate the Avengers into fighting one another, since using brute force wasn’t going to get the job done. Fortunately for him, both the Sokovia Accords and Bucky Barnes’ assassin past proved to be just the things his plan needed. Zemo wasn’t portrayed as a dark version of one of these heroes or just wanting to seize power for the hell of it. His motivations came from anger, and while this is a base emotion, it made him feel more relatable, human and best of all, multi-layered. That’s how many of the best villains are represented. Admittedly, it was hard to figure out at first what Zemo’s plan was in Captain America: Civil War, but once we arrived at the old HYDRA Siberia outpost and that footage of Winter Soldier killing Howard and Maria Stark was shown, it all clicked into place. His endgame wasn’t to kill Captain America, Iron Man and the rest with those enhanced Winter Soldiers, as many of us assumed. He simply played Earth’s Mightiest Heroes like chess pieces, intent on having them destroy each other. In a world filled with aliens, androids, super soldiers and other kinds of enhanced beings, the Avengers were undone by a regular man with one goal: to seek revenge for his family. He didn’t have super powers, wield unusual technology or come from another planet, but he was still able to cause a significant amount of destruction and emotional trauma for just being a normal guy dead set on vengeance. It was simple, yet extremely effective. Marvel also avoided the same pitfall they’ve fallen into with most of their major villains: killing them off at the end. Rather than let him succeed in shooting himself, Black Panther intercepted the bullet with his vibranium-woven glove so that Zemo could face justice for his crimes. He’s now incarcerated in Berlin, but that doesn’t bother him, as his interaction with Everett Ross made it clear that he believes he succeeded. In a way, he did. Captain America and Iron Man’s relationship has been fractured (though not beyond repair), and now the members of Team Captain America have to operate in secret to keep protecting their world. Phase Three just started, and thanks to Zemo, it’s off to a rough start. Remember how Spider-Man referenced The Empire Strikes Back while taking down Giant-Man? Well, Captain America: Civil War could be considered the Empire Strikes Back of the MCU. Deep-cut comic book fans know that Captain America: Civil War’s Zemo wasn’t that similar to his comic book counterpart. This wasn’t a secret by any means, as this version had been called a "loose interpretation" several times, and the Russo brother said that they altered him to service the story in a "fresh and exciting" way. While this may not be pleasing to those who want as faithful an adaptation as possible, the fact is that the Zemo we got on the big screen fit the story excellently. This movie had so much conflict and grandiose moments between the heroes that we didn’t need the scheming Zemo from the comics to swoop in and plot the usual kind of sinister schemes. 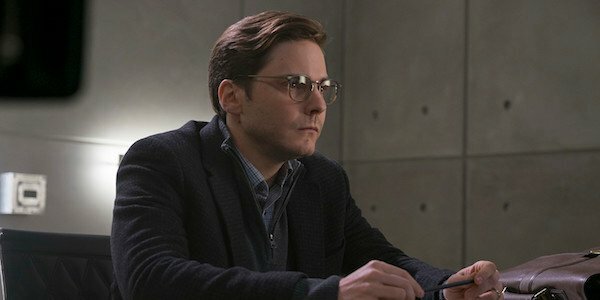 Daniel Brühl’s Zemo benefitted from being a normal human rather than looking weird or having some kind of gimmick, and made his accomplishments even more impressive. All this being said, here’s the other important thing to remember: this may not be the last we’ve see of Zemo in the MCU, which means we could see him evolve into something closer to the source material. Villains can certainly be made interesting for just one movie, but as we’ve seen with Loki across the Thor movies and The Avengers, if they get the chances to develop over many stories, they become even more compelling. That can happen with Helmut Zemo if Marvel decides to use him again, and they would be wise to. Zemo has already accomplished his main goal, but that doesn’t he can’t continue his life of villainy. If he’s brought back in another movie, whether in Phase Three or Four, then we can see him become into the criminal operative he is in the comics. If they really want to go the distance, give him a version of the purple mask, though we don’t necessarily need the entire purple get-up or Adhesive X to scar his face. One thing: if Zemo does return, don’t kill him off at the beginning of the next movie, like what was done with Crossbones in Captain America: Civil War. Let him get most, if not an entire movie, to grow further. What did you think of Zemo in Captain America: Civil War? Give us your thoughts in the poll and comments below! What Did You Think Of Zemo In Captain America: Civil War?